The worst nightmare for any project management professional is to let their project become a black-hole which consumes endless time and tons of money. The construction industry is facing new threats and challenges pertaining to efficient project delivery. Accordingly, all construction businesses are seeking a magic wand which can transform the predictability and stability for their project. The solution can only be found by determining the root cause of the situation. 1. Problems with the product representation (i.e. what is to be constructed). To improve the efficiency of the overall construction process, both the process and the product representation must be efficient in their individual capacity as well as in an integrated capacity. The 2D based product representation tools such as 2D Computer Aided Design has been proven remarkably inefficient for effective visual communication between project participants. Though we use thousands of sheets for transmitting the design and relevant information, our efforts are not being translated rationally for flawless delivery. Toyota found solutions to many of these problems and revolutionised the production management system by giving the world the Toyota production system. 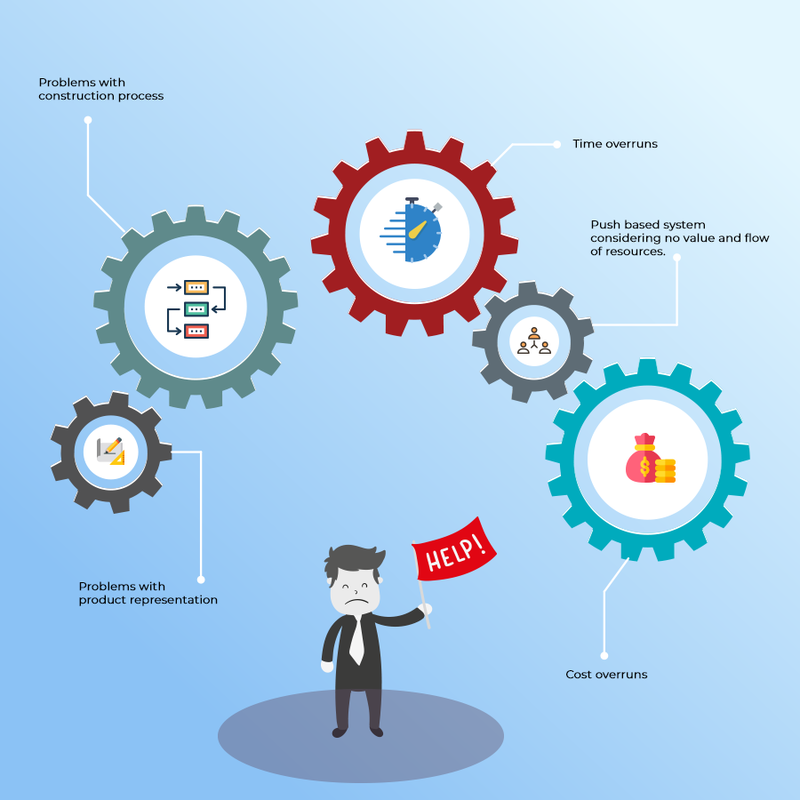 The academics who found it and made it popular called it the “lean production management system” which offers an effective way to solve the process related problems as it is based on the improved “TFV” theory (Transformation, Flow and Value in the production system). By adding a stipulated flow and realised value in the process, the production becomes more tactical, predictable and reliable. However, it only solves a partial problem, i.e. the problems related to the process. Building Information Modelling (BIM) systems through an improved product model, solve many of the problems associated with the 2D CAD tools. BIM also offers a solution to overcome many processes related issues as it provides an intelligent product model that resides in a visual platform. The efficiency of the production planning and control process in construction depends significantly on the reliability and timely availability of resource information. Even in the Last Planner system™ (known for reliable production-planning in construction), the production control mandates that a construction task should not be started unless all the seven resource prerequisites are in satisfactory condition. Failure to do so results in a waste of time and other resources. Yet, this information is not readily available due to the lack of systems integration that prevails within the industry. 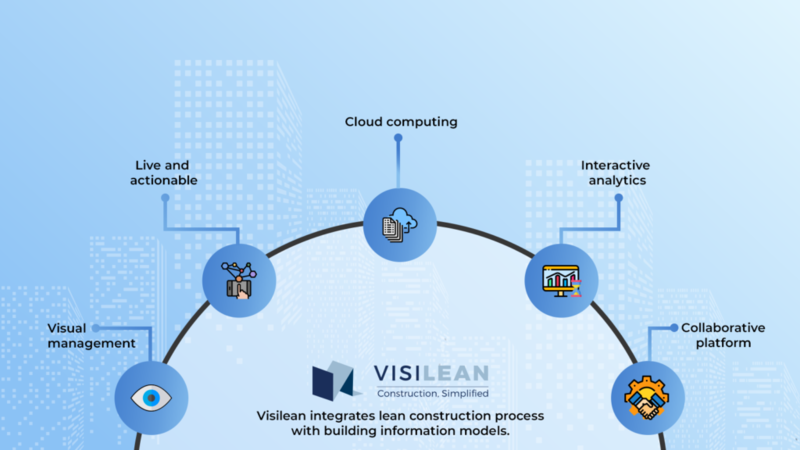 To solve some of these problems, VisiLean – a system that integrates the process model of lean with the rich product information model offered by BIM has been developed. Specifically, it is a system to support pull flow scheduling (through the Last Planner™) in a collaboratively built, live and actionable process model for the construction project. The system supports the collaborative co-production of the plan based on operation and resource dependencies that is at the core of the pull flow scheduling method. Even though there are challenges ahead, the industry is certainly moving forward in adopting both the initiatives – lean construction and BIM. 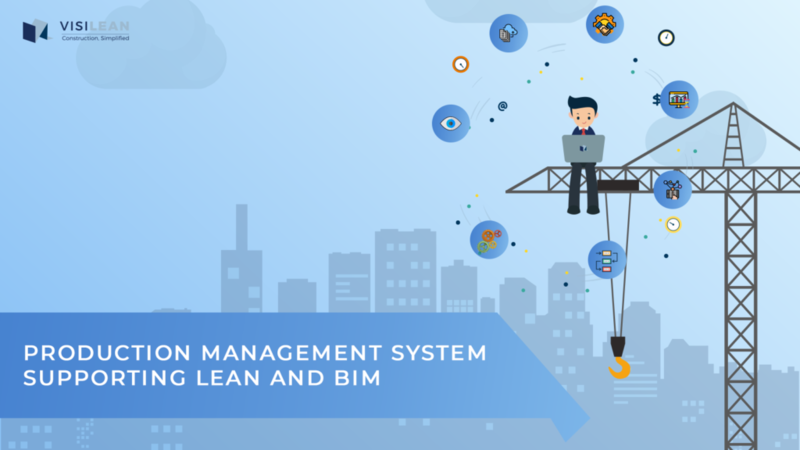 It is only a matter of time when lean will be accepted as a standard production management system in construction. On the other hand, BIM is also fast replacing the CAD technologies and in many countries, the tipping point is fast approaching. With that, systems such as VisiLean that integrate both these systems prove to be a key to an efficient production management system.